The four-door version of the Mercedes-AMG GT coupe has been revealed at the Geneva Motor Show, ahead of an on-sale date in early 2019. The AMG GT is the first four-door car to be made specifically by AMG, the team responsible for Mercedes’ sports cars, and is designed to offer the exhilarating performance of the two-door, but with a touch more practicality. There will be a wide range of options available on the four-door, with a choice between a selection of different rear seating layouts. There would appear to be the option of a five-seat layout, or a more opulent four-seat back row with a large storage and armrests between the two seats. There will be a choice of three engines, all of which are familiar to keen students of the AMG ranges. The 4.0-litre V8 in the 63 S model is the quickest, with 0-62mph taking just 3.2 seconds thanks to its 639 horsepower, while the non-S version of the same engine is slightly less powerful with a mere 585 horsepower and a 0-62mph time of a still rapid 3.4 seconds. 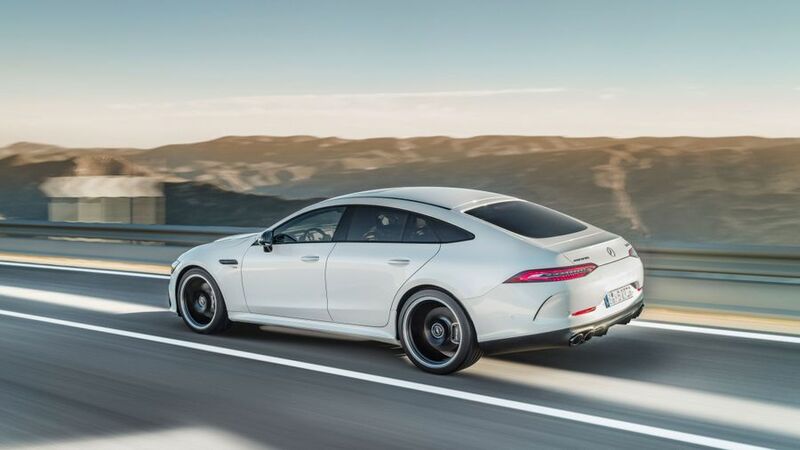 The more left-field option is the 3.0-litre GT 53 model, which boasts a 22-horsepower electric battery to create a mild hybrid system to add a bit of oomph when you pull away. The engine also features in the new CLS AMG, and it is still very quick, with 0-62mph arriving in 4.5 seconds. Because there’s still a fair wait until the four-door AMG GT arrives – you won’t be able to order one until September and the car won’t arrive until early 2019 if you do – then it’s no surprise that there is no word on pricing yet. Suffice to say it is likely to cost more than the two-door version, which starts at £99,960, on a model for model basis. 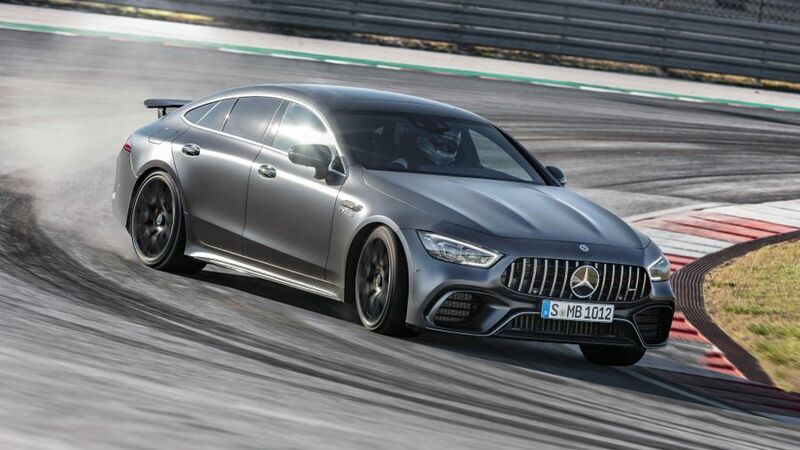 Expect there to be an early ‘Edition 1’ version, which will add all manner of bells and trinkets, as Mercedes has done with other cars in the recent past.